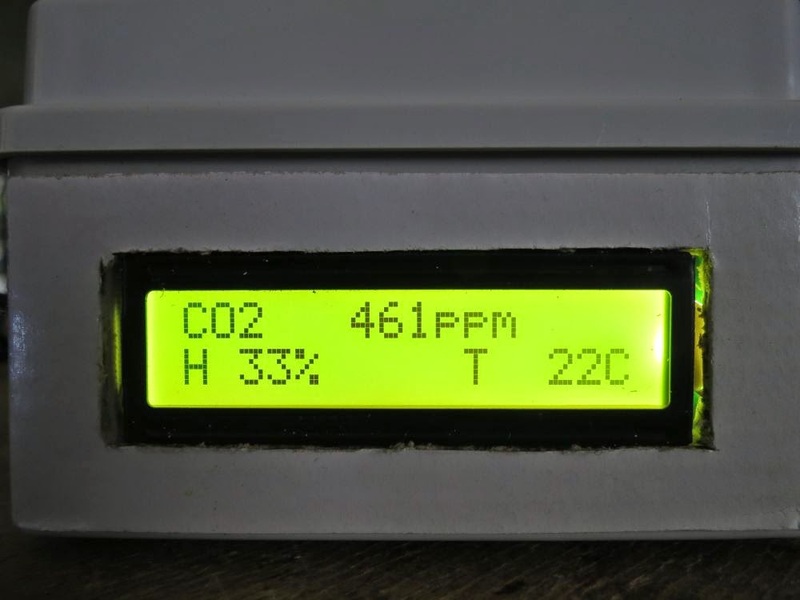 This is an AVR ATmega328 based CO2, temperature and humidity logger and meter. 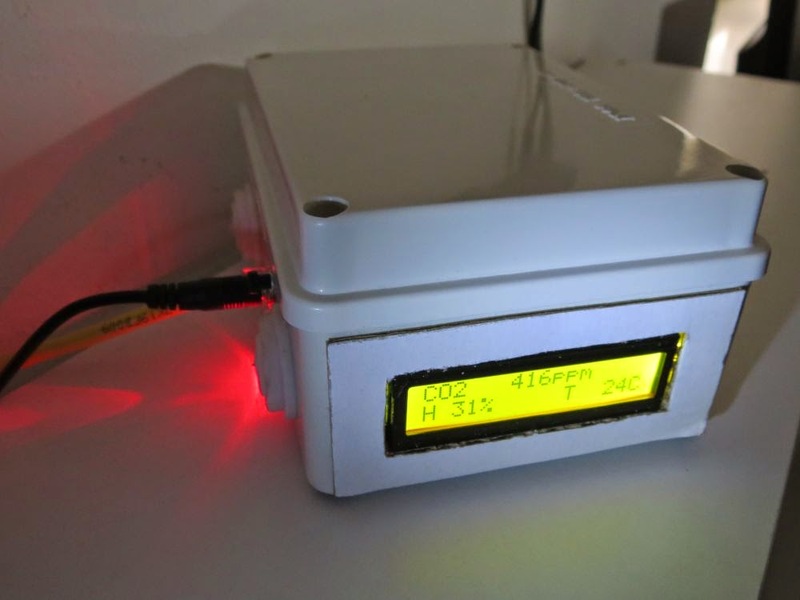 It logs data feed, CO2 in air in terms of ppm, temperature and humidity to a xively.com feed. It also display realtime data to user through a 16x2 characters LCD. User can setup the ethernet connection address through a web interface. Network can be setup with a static IP address, or using DHCP. Also the Xively feed and API key to use to log data could be setup by the web interface. Custom Channel ID for the xively feed could be setup in code, at compile time. 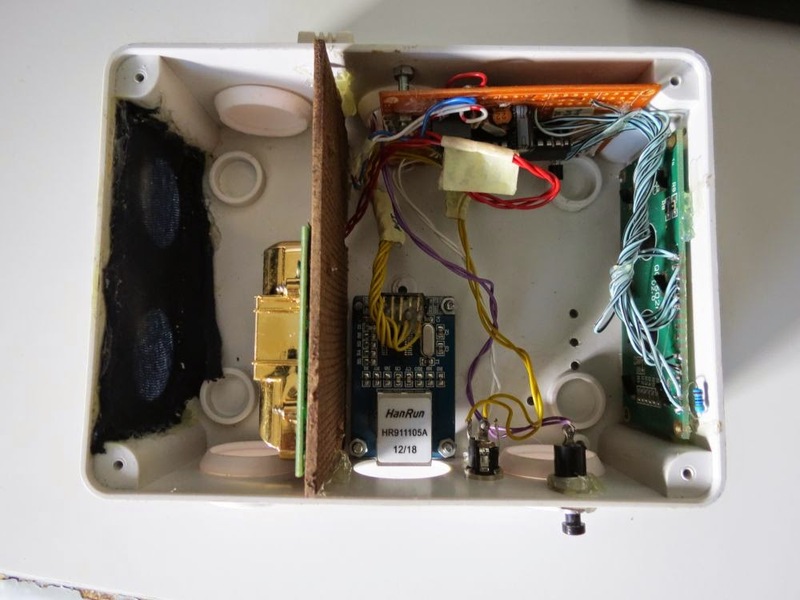 A button is installed, so that when the user press it the lcd led will power on for 60 seconds. For temperature and humidity is the DHT22 sensor it is used, for CO2 meter the NDIR infrared MZ-Z14. 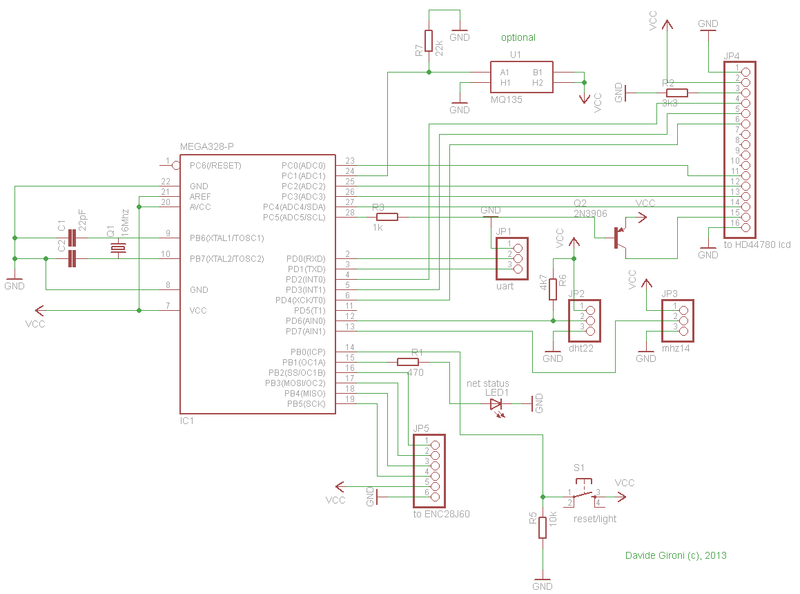 This project was developed on ATmega328 running at 16MHz. The network board it is based on the EC28J60 chip.